​When will people learn that picking against Bill Belichick and the ​Patriots almost never works? 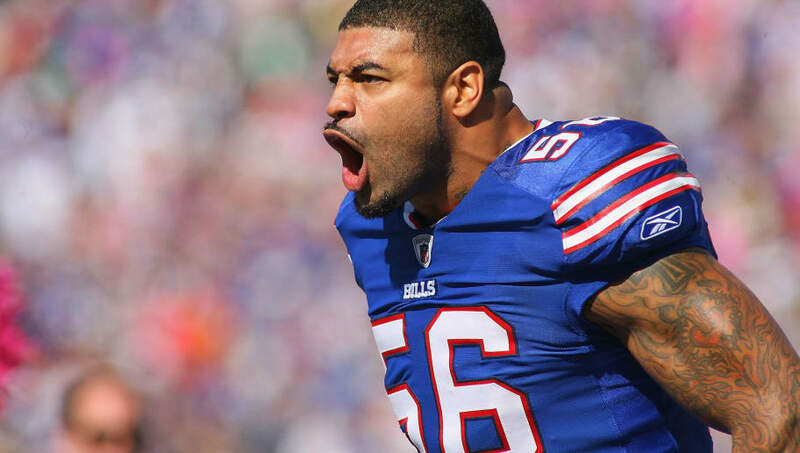 Former ​Chargers Pro Bowl pass-rusher Shawne Merriman is certainly taking a defined, confident stance ahead of LA's ​Divisional Round matchup against New England in Foxborough. Merriman called Philip Rivers and the Charges a "lock" to go into New England and win this game. ​​"They’re a lock for me this week," Merriman said. "I just feel like they're a lock, because the Patriots...they’re not the same team they were in the past. They’re just not. They don’t bring that kind of stamp to the field anymore." Merriman's argument wasn't just New England bashing, as he acknowledged that Chargers coach Anthony Lynn has molded them into one of the best road teams in football. "This Chargers team right now, they’re the most resilient team in football," Merriman said. "They’ve been through so much. Injuries and the move and people not really paying attention to them and they just use all of it as fuel." It's a valid argument, but Merriman and the Bolts have one major factor working against them: Tom Brady's home playoff record. He is 19-3 at Gillette Stadium in the playoffs. 1/13/19 - LAC - (-4) - ?? A Chargers upset wouldn't be unrealistic, as they are stacked at multiple positions. Guaranteeing that, however, could've jinxed Los Angeles.